As I said in my last re-review of Honda Ya, I really like this place as a Izakaya restaurant. But this blog is supposed to be about sushi, so I decided to try it there. They don’t have nigiri sushi, but they do have rolls and hand-rolls. As you can see above, I tried the salmon handroll ($3.50), which was nothing to write home about. 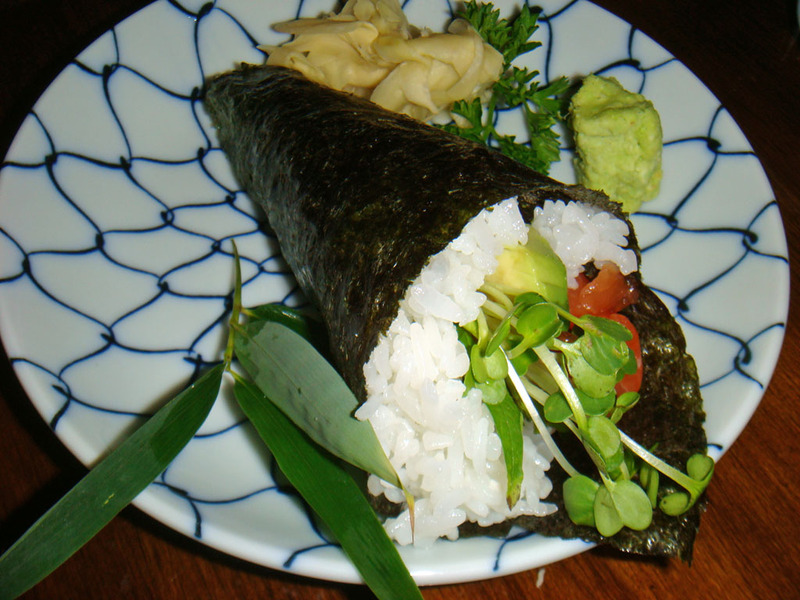 However, the salmon was fresh and the nori (seaweed) was very fresh, which is important for handrolls. Unfortunately, the ginger was very dry for some reason, but that’s being super picky. Don’t come here to eat just sushi, but there’s plenty of other super tasty treats to eat here so get the sushi as a side order. Try it. Read my review of Honda Ya’s Yakitori. They now have nigiri sushi but I still would not come here for the sushi. There are tons of other good stuff here. For sushi, go to Sushi Go 55 next door.